Layer and decorate these pretty cardstock flowers and letters to make a pretty monogram, name sign, or message - there's no better way to spell fabulous flowery fun! 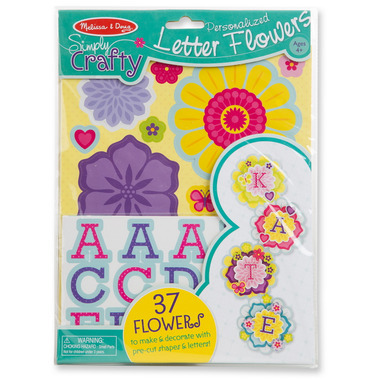 With sticky foam tabs, pre-cut shapes, 61 letters, and 37 flowers to stack or stick side by side, there are countless ways to combine the elements for totally personalized art. 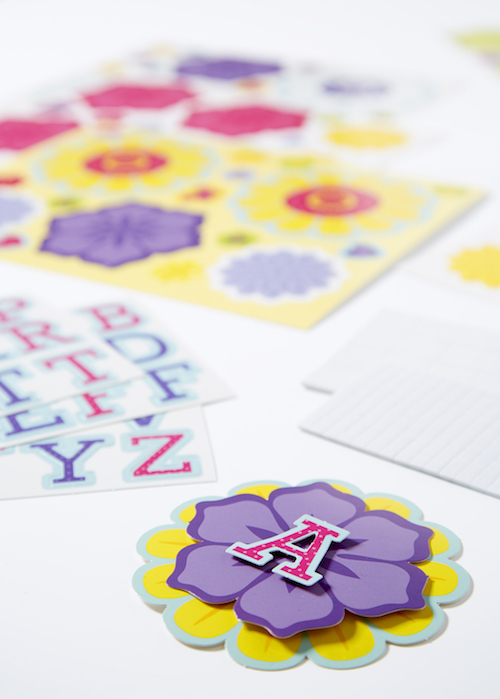 Kids can layer the sturdy cardstock pieces to give their initials pizzazz or link a few flowers together to spell a whole word. No scissors, tape, or glue are required, so it's quick to start, easy to do, and so much fun to share and display! Suitable for ages 4 years old and up. I think the 4 yr old granddaughter will have a ball with these!! This was a hit with my 3 grand daughters. They loved popping out the flowers and using the stickers and making their own flower designs. A very well thought out easy to do craft. The cardboard is stiff, so no bending of flowers. Love it and would recommend to other mother to buy for their girls. Even good for a loot bag gift. Kids and I had lots of fun with this kit. Finished product makes a nice wall decoration for girl's room. Bought a second time for a birthday gift.